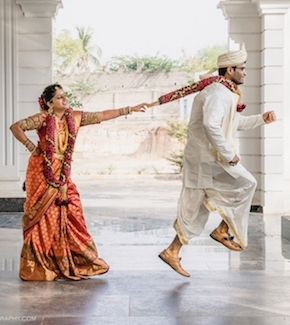 Wedding hashtags have become a trend this wedding season. Every wedding needs a wedding hashtag. You give so much of your time to create a wedding hashtags, now you have to keep on reminding your guests about it and for that you need some unique and amazing ideas to showcase your wedding hashtag. It is kind of obvious that you would have added to your save the date and the wedding invites, but it is quite possible that they might forget about it. 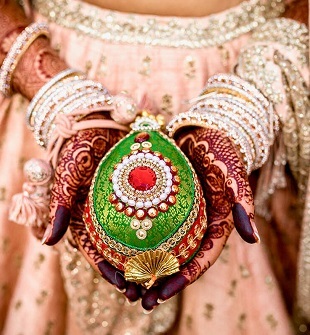 So remind them by displaying your wedding hashtags at all your wedding functions. Here are some of the most unique ways to showcase your wedding hashtag. 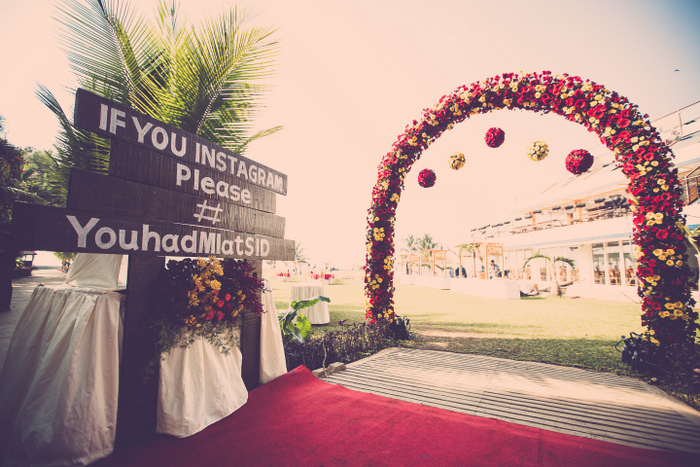 Displaying your wedding hashtag at the entry is a cool idea. 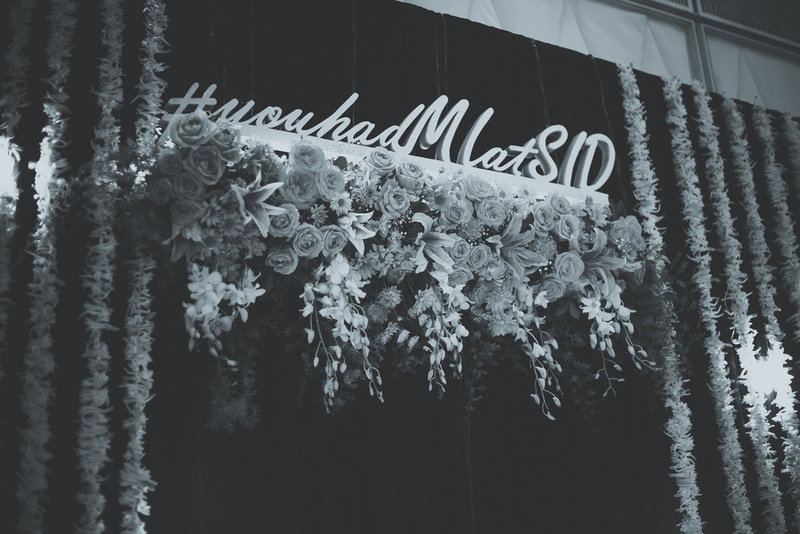 It will give your venue entrance an elegant look plus you will very cleverly remind your guests of your wedding hashtag. It will make your entrance area very trendy and unique. If you are creative enough and want to show your creativity to your guests, you can use chalkboards to showcase your wedding hashtag. It is a perfect Do It Yourself or DIY which will cost less and will look very unique. Use excellent calligraphy and different chalk colours to make it look more awesome. Why not use your wedding hashtags as centerpieces for the tables? 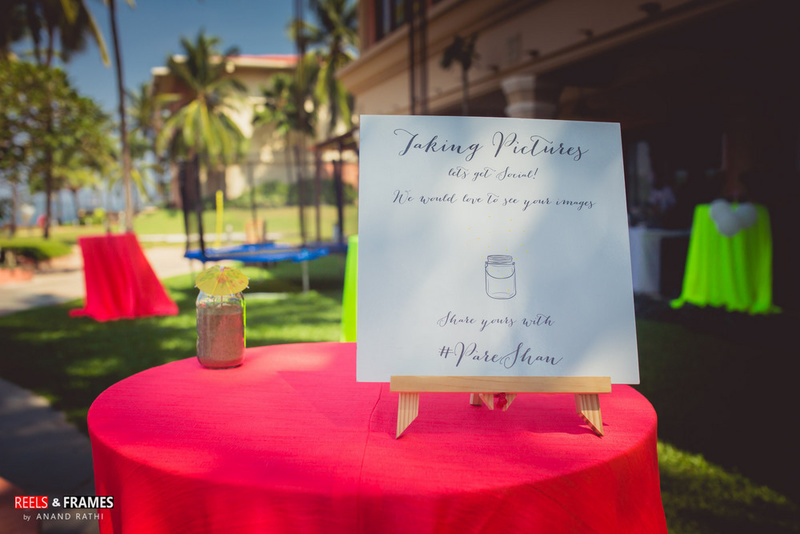 This way your guests will be reminded of your wedding hashtag quite a lot. They will surely not forget it for a long time if it is kept in front of them on their tables as centerpieces. 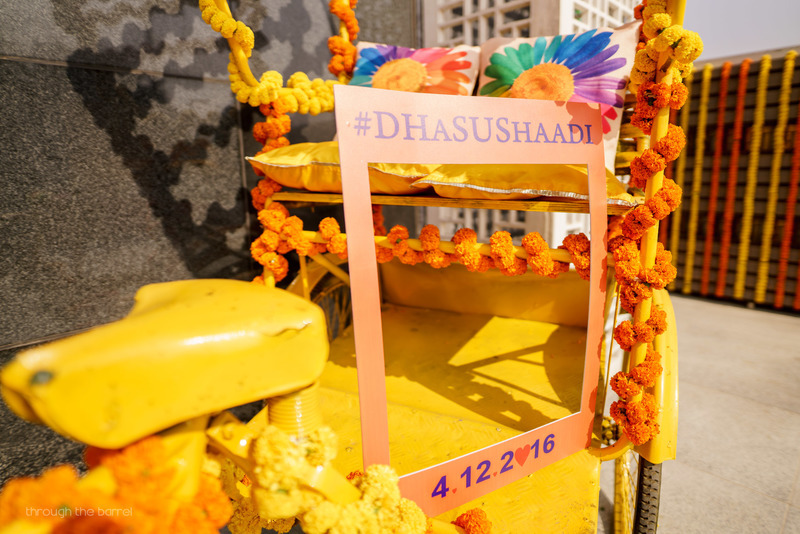 It is surely an amazing way to showcase your wedding hashtag. 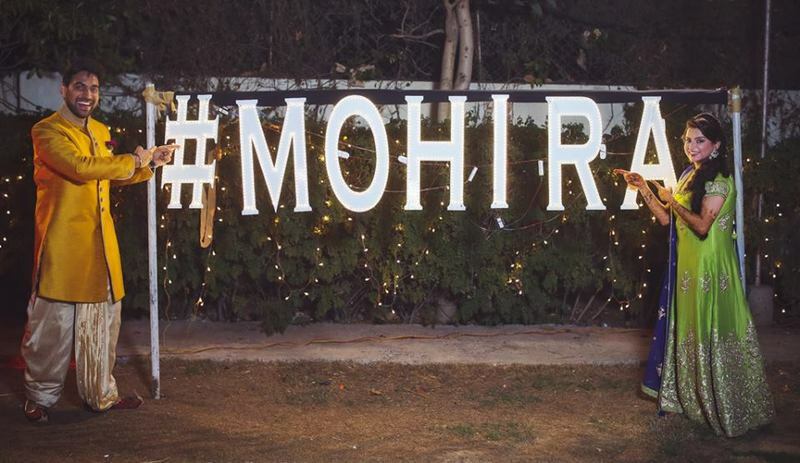 For your night time functions, I think it is the best way to showcase your wedding hashtag. With all those lettere lit up, it will look really very elegant and attract the guests in no time. It might be a tat bit expensive, but trust me, it is worth it. Everybody is definitely going to love this idea of yours. Photo booths are a trend these days. You will find most of your cousins and friends stuck with the props at the photo booth clicking too many pictures. And why not? They are genuinely one of the most attractive things at a wedding. 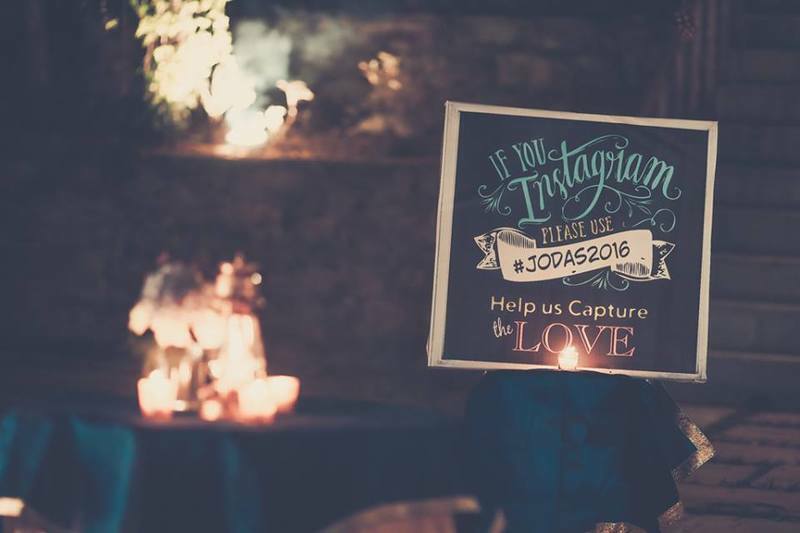 You can use your photo booth prop to display your wedding hashtag. People generally click a lot of pictures with these props and it will surely look attractive and will help you to publicize your wedding hashtag even more. Now, this is definitely a unique idea to showcase your wedding hashtag. It will look really very royal and sophisticated. This is surely going to catch everyone’s attention. 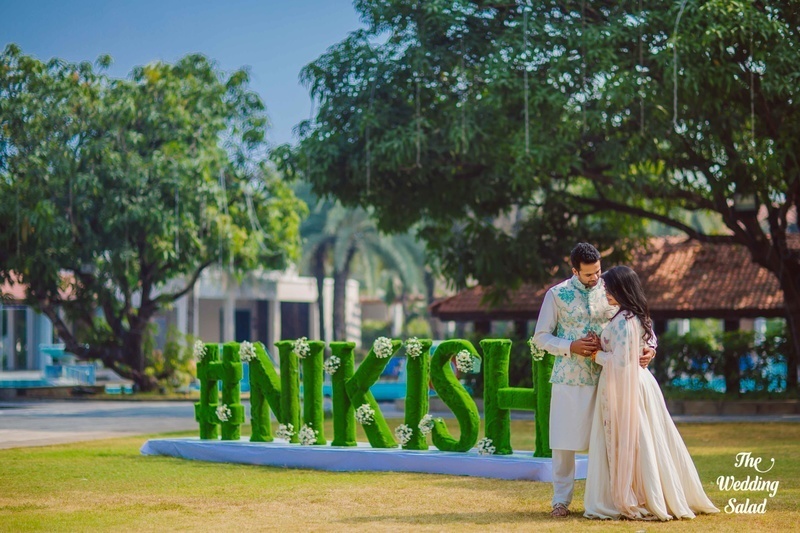 If you are having a day wedding, this is surely an elegant and unique idea to showcase your wedding hashtag. It will definitely attract your guests and people are surely going to click a lot of pictures near it. 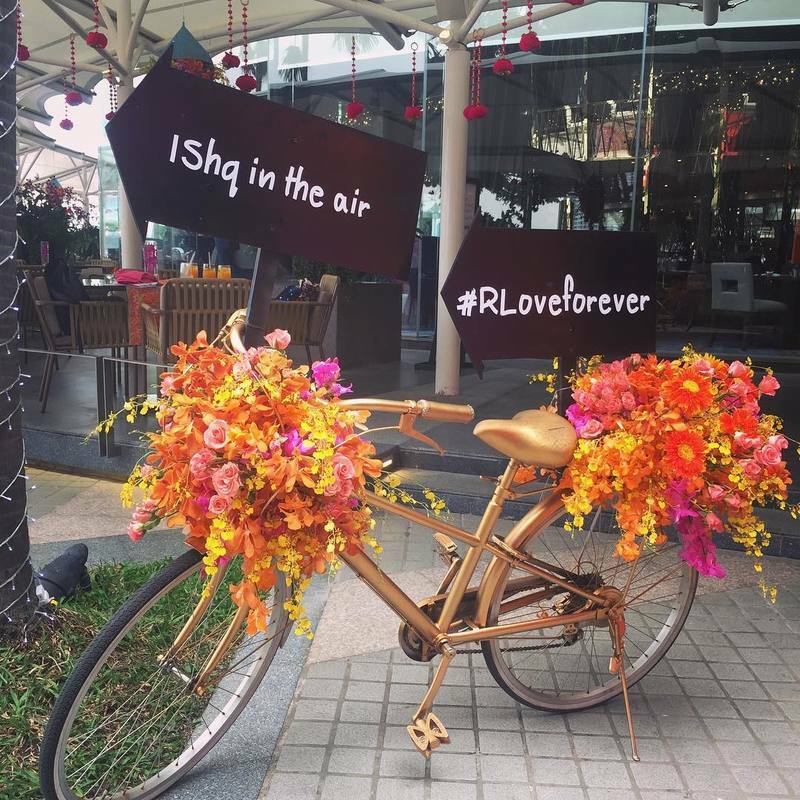 This wedding hashtag idea is just perfect for you if you are having a daytime wedding function. 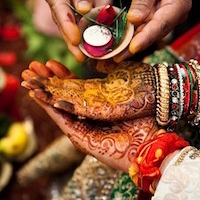 Wedding hashtags are widely used these days and are a trend this wedding season. Go for some attractive and unique ways to showcase your wedding hashtag so that it catches the attention of your guests and they don’t forget about it.